Richard qualified as a Chartered Accountant in Durban, South Africa in 1987. After working with Deloittes & Touché and then Anglo American and De Beers, Richard commenced his own Financial Consulting practice in 1995, before specialising in Personal Financial Advising in 1997. Richard arrived in Australia in 2000 with his wife and two children. During this time, Richard has assisted many clients with their financial planning needs, including those who have migrated to Australia. His extensive corporate experience combined with his academic qualifications, have enabled Richard to provide the highest level of professional service to his clients. Having spent 5 years on the committee of the Australia Africa Business Council (QLD), 2 of which he served as President, and having hosted the Gold Coast South African business network “Sabona” between 2002 and 2017, Richard has become an invaluable source of information and assistance to migrants from South Africa and other overseas countries. Richard is a recreational pilot, a keen squash player, wave ski surfer, scuba diver, regular jogger/walker and is passionate about making a positive difference within his sphere of influence. He is also an Ambassador for Opportunity International Australia, a non-profit organisation that exists to provide opportunities for people living in poverty to transform their lives. With over 40 years’ experience in microfinance and support services, Opportunity International Australia uses a business approach to alleviate poverty. 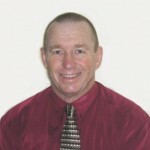 Tony was born in South Africa and now lives in Australia on Bribie Island with his wife Cynthia. He has two children and six grandchildren. He is a keen sport enthusiast and plays tennis both socially and competitively. Tony has been involved in the marketing industry for most of his business life, which included owning a motorcycle and hardware company. He has operated in the insurance sector for eight years, where he specialised in the business market with an emphasis on protecting directors from the implications and consequences of signing personal guarantees. He assists Green Dot Financial on marketing and Administration. Dane’ has been the client support officer since the inception of Green Dot Financial and with her 4 years of University study, is an asset to the organisation and it’s clients. Shaleen has been the administrative and client support officer since the inception of Green Dot Financial. Her attention to detail ensures all administrative matters are dealt with expediently and accurately. Stuart Litchfield – Active Finance Pty Ltd – providing Home Loans under separate licence. Stuart Litchfield offers a unique skill-set to Green Dot Financial clients, under his own licence with AFG, developed from a wide experience base. We love a challenge……Many of our clients have been advised they don’t qualify for finance. There is no better satisfaction for us than confirming with a client their loan application is now approved. We have the experience and tenacity to get the hard ones over the line! Test us!